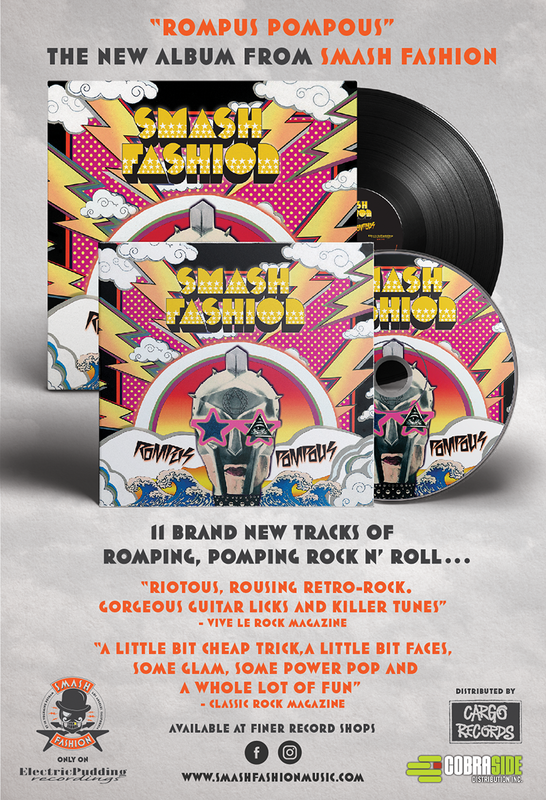 "Riotous, rousing retro-rock. 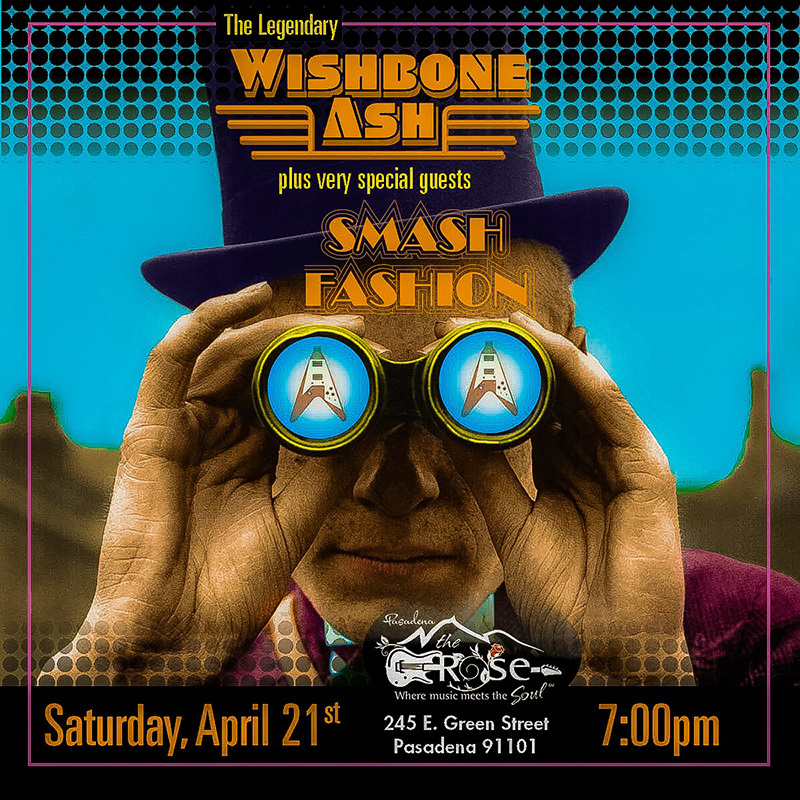 Gorgeous guitar licks and killer tunes"
"A little bit of Cheap Trick, a little bit Faces, some glam, some power pop, and a whole lot of fun"
Smash Fashion proudly rock Orange Amps while on the road...Orange Power! SF gives a big shout out to Classic Rock Magazine, Vive Le Rock Magazine, Shindig, TeamRock Radio UK, and Radio Caroline UK for being such supporters ...us rock n' roll pirates gotta stick together! Electricpudding Recordings is proud to announce the release of the new LP, Big Cat Love. 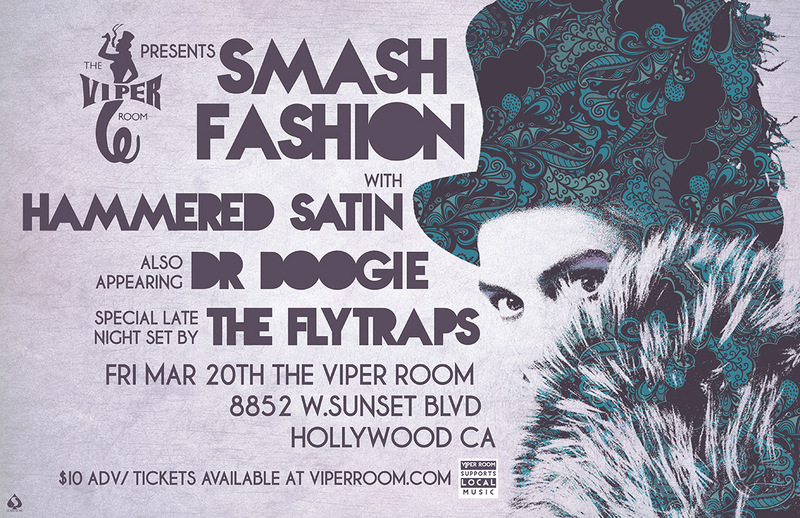 Los Angeles based rock dandies, Smash Fashion, features an all star line up led by the iconic Roger Deering with ex members of London Quire boys (Nigel Mogg) on bass, Finnish glam rock legends, Smack (Repo) on drums and Rock City Angels (Lloyd Stuart Casson), on guitars. The band has been entertaining audiences with their great songs and explosive stage show since 2004. SMASH Fashion is proud to announce our new sponsorship from D'Addario strings! D'addario strings are the best in the business and SF use them live, in the studio, and everywhere in between. D'Addario delivers quality and reliability and SMASH Fashion is proud to be partnering with them. 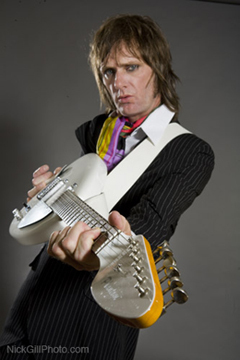 Roger Deering is now sponsored by Phantom Guitars ! Roger plays the Brian Jones White Teardrop model on stage and in the studio. "Brian Jones is one of my all-time rock n' roll heroes, and Phantom makes amazing guitars, so this is just a natural progression for me." says Deering. See Roger playing his Teardrop guitar live in a town near you! "Bubblicious yet Ferocious, These Dapper Rockers aren't afraid to get their suits wet! 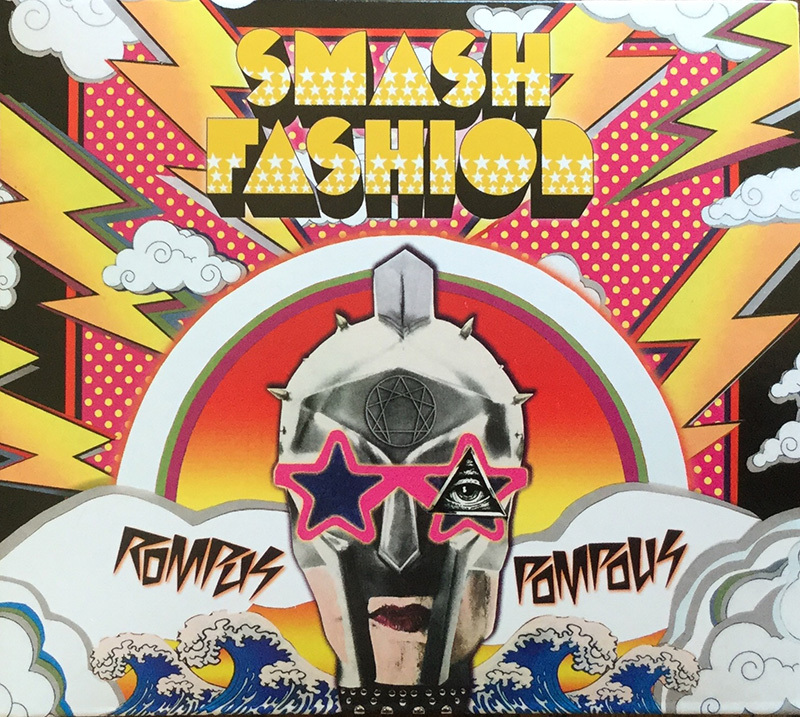 Highly Recommended"
"With an adoration of '60's pop and '70's punk, SMASH Fashion have written a clutch of instant classics. A lenticular postcard from another dimension." 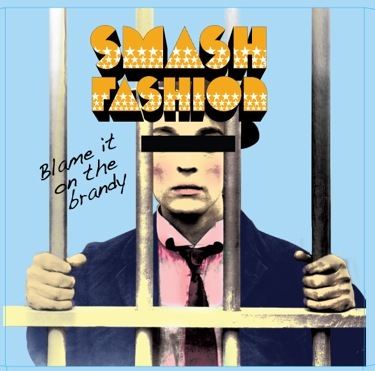 "SMASH Fashion have superior songs with texture and dimension, breaks and crescendos. What's not to like?" 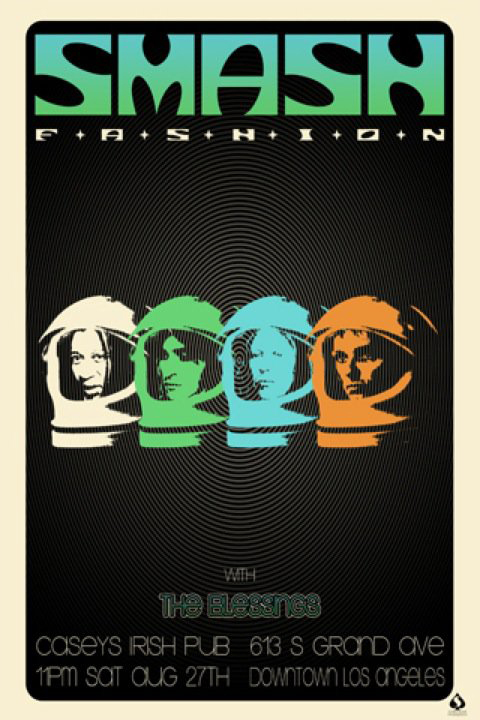 "Fizzy pop, psych-tinged, glam punk with an injection of '70's arena rock. With impeccable dress style to boot, Dandy Rock is born." Dr. Bristol's Prescription has the cure to heal all of your pop culture problems one day at a time. He wrote an excellent review of SMASH Fashion's album , Don't Pet the Sweaty Things . 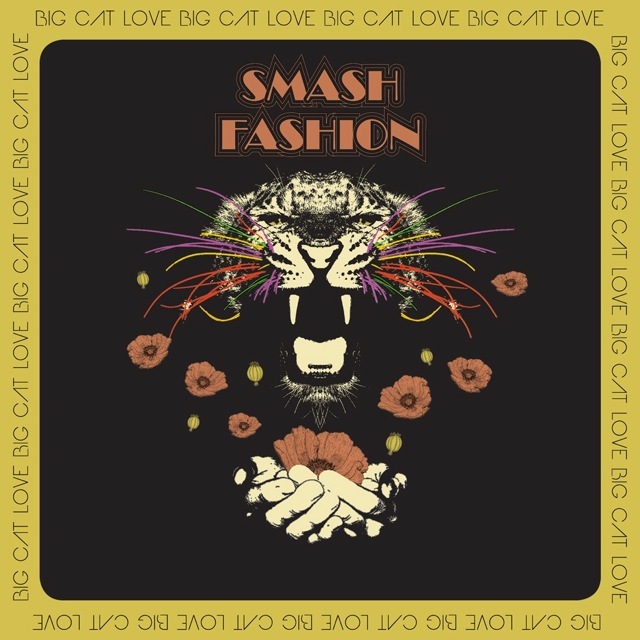 New SMASH Fashion LP "Big Cat Love"
" Blame it On The Brandy , a killer song with a great T.REX/Bowie guitar riff and a pretty catchy chorus, and 'Marionette,' a track that was previously recorded and which sounds a bit like a mix of STONES and CHEAP TRICK with 70s glitter rock backing vocals." August: The boys rocked the stage at the Orange County Fair... check out the photos . July: SMASH Fashion returned to the recording studio and tracked eight new songs to finish the upcoming new record. A 7" single will be available by the end of August or September. 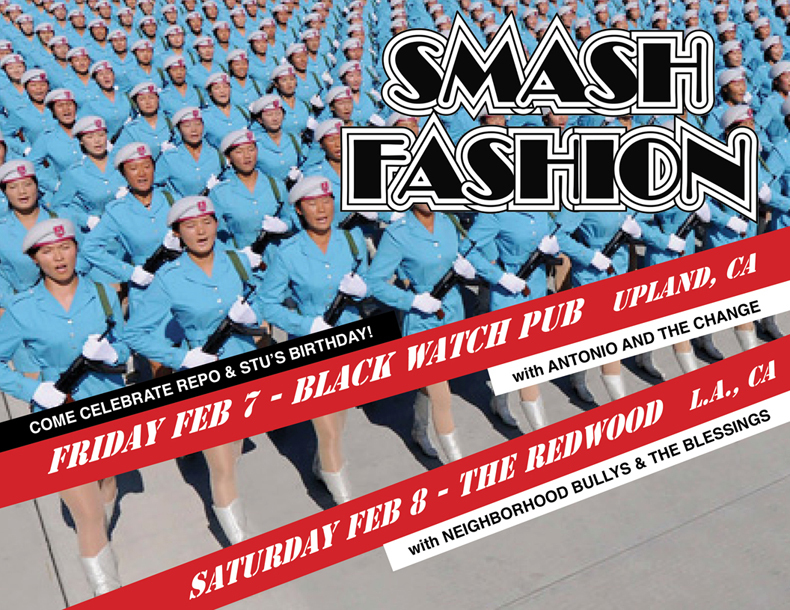 June: SMASH Fashion electrified the crowd at the Highland Park Festival on June 4 th and did a headlining show at The Redwood in downtown Los Angeles on the 18 th . May: The boys are back in town after a successful tour of the U.K. in May. 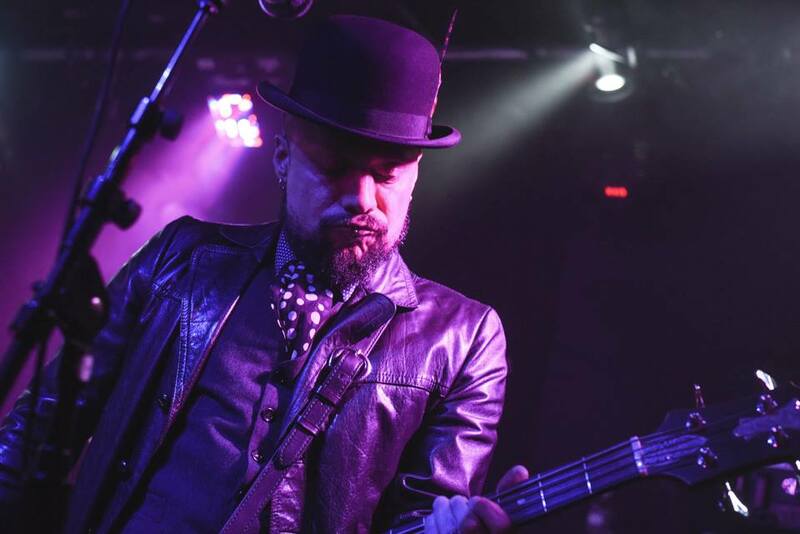 Highlights included two shows at the legendary Cavern Club in Liverpool and The Bull and Gate in London. Check out the photos page for the U.K. photos. 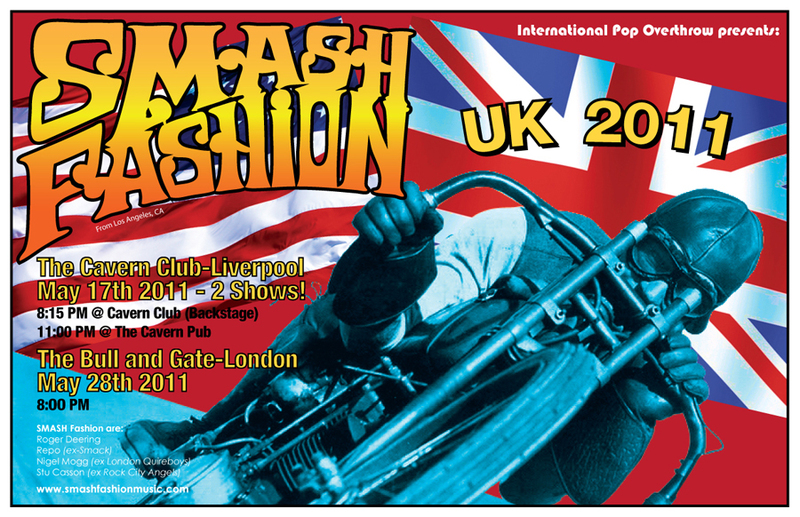 England loves SMASH Fashion and SMASH Fashion loves England. See ya again soon, U.K.!